The master bathroom remodeling trends for 2017 seek to extend the master suite for an experience of a custom oasis. With the assistance of an experienced designer, one can create a master bathroom remodeling chandler project to have a personalized spa to enjoy in the privacy of your home every day. 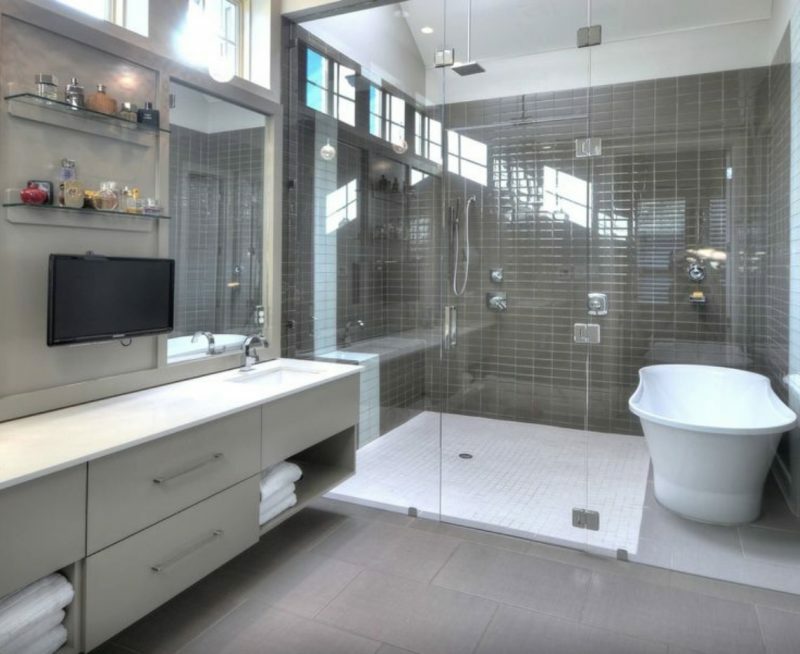 These are frequently specified for bathroom remodeling, and are what buyers are looking for in a home. Function comes first. Award winning design starts with generous storage utilizing floor to ceiling cabinetry for clutter free counters, including hidden outlets and easily accessible grooming appliances. Lighting is key, with ample room, task and natural lighting. Efficiency is a priority with water saving faucets, showerhead, and toilet. Ask that sufficient fan ventilation for the square footage be supplied. Universal design elements will increase safety and long term function for aging in place such as a no threshold shower with a bench and a hand-held shower head. Grab bars should be installed in the shower, and next to the tub and toilet. 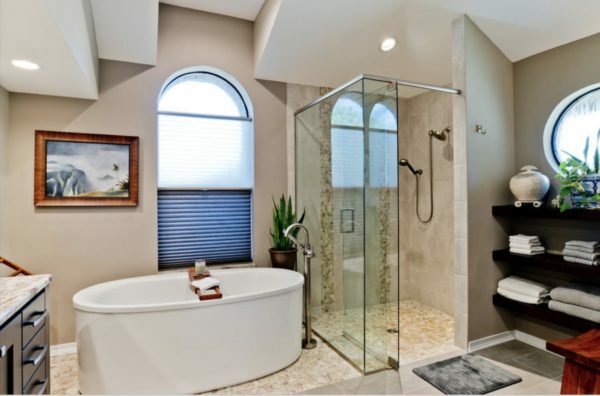 Creating a luxurious experience in the master bathroom remodeling project is becoming standard. In-floor heating on a timer for warmth rising from the tiles in the morning, or enough to make the tiles comfortable for bare feet can help one get out of a warm bed! Floating vanities with under cabinet rope lighting will make the room seem larger. 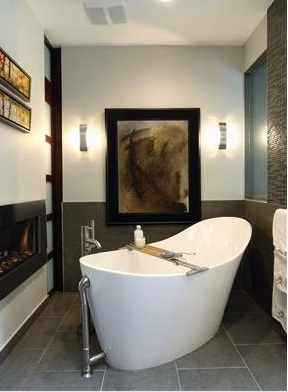 A separate tub, perhaps putting the tub next to the curbless shower in a wet room could be a “his and hers”. Perhaps you would like the shower to also be a steam room. A Tornado Body Dryer is the final touch to bathing or showering to help stay warm as you dry off. Some prefer a warming drawer for towels. 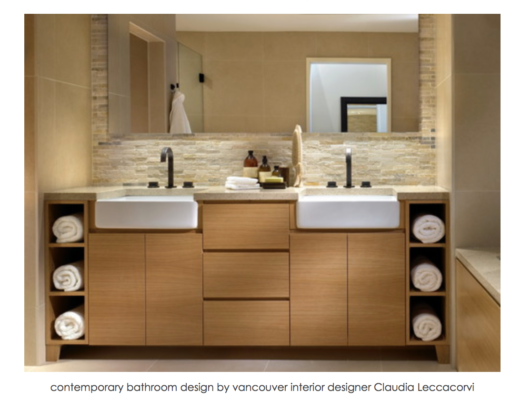 The inclusion of elements of nature such as wood, stone, cork, and even plant spaces help make it a place to relax. Three-dimensional tile can be used for texture on the walls, and selection of statement mirrors. A ventless fireplace placed between the master bathroom and bedroom so one can enjoy from either room the dance of a fire. If listening to music, the radio, or TV is a part of your getting ready for the day routine, tell your remodeling designer what technology you want included in your master bathroom. Good function and design will intertwine to create the experience of tranquility. Choose a color pallet that reflects your needs. If you want the room to stimulate energy and alertness, go with bold colors. If you need a room to relax and unwind, choose colors accordingly. If you and your spouse are opposite in wanting more energy or more calm, a dimmer switch can be a solution to dialing up or down the energy.